PSL 7700 - Course Director. Department of Physiology with Concentration in the Reproductive Sciences Program (PhD), Stem Cell Biology. PSL 7690 - Lecturer. Department of Physiology with Concentration in the Reproductive Sciences Program (PhD), Principles of Reproductive Biology. PSL 7996: Arranged Research - Instructor/Advisor/Mentor. Department of Physiology with Concentration in the Reproductive Sciences Program (PhD), Current Research Topics in the Reproductive Sciences. PSL 9991, 9992, 9993, 9994: Thesis/Dissertation Research and Design- Instructor/Advisor/Mentor. Department of Physiology with Concentration in the Reproductive Sciences Program (PhD), Doctoral Candidate Status I-IV. PSL 9995: Candidate Maintenance Status - Instructor/Advisor/Mentor. Department of Physiology with Concentration in the Reproductive Sciences Program (PhD), Doctoral Candidate Dissertation Research and Direction. Lecturer. Department of Anatomy & Cell Biology: Human Embryology. Lecturer. Department of Obstetrics and Gynecology, Residents and Reproductive Endocrinology and Infertility Conferences. Advisor/Mentor. Departments of Biochemistry, Biology and Anatomy & Cell Biology; Graduate Research, Laboratory Rotations, Doctoral Candidate Status: Thesis/Dissertation Research and Design, and Doctoral Candidate Dissertation Research and Direction: Candidate Maintenance Status. The Armant lab investigates the biology of trophoblast cells in animal models, human cell lines, and human placental tissue. Our research has contributed to understanding of mechanisms controlling trophoblast invasion, particularly work on integrin signaling in mouse trophoblast cells during blastocyst implantation. More recently, effort has been directed toward mechanisms of human trophoblast survival under oxidative stress, and in the low oxygen environment of the female reproductive tract during the first trimester. We work with physician-scientists on an approach that captures and isolates human trophoblast cells during the first trimester from ongoing pregnancies, using a noninvasive endocervical collection procedure identical to a Pap smear. Trophoblast retrieval and isolation from the cervix (TRIC) is being explored for applications in fetal genetic testing, perinatal disease diagnosis, and translational research to investigate human placentation. The vision of our research is to enhance the management of pregnancy by providing information about placental development acquired in real time with trophoblast cells obtained by TRIC. Jain CV, Jessmon P, Barrak CT, Bolnik AD, Kilburn BA, Hertz M, Armant DR. (2017) Trophoblast survival signaling during human placentation requires HSP70 activation of MMP2-mediated HBEGF shedding. Cell Death and DIfferentiation, In Press. Drewlo S, Armant DR. (2017) Quo vadis, trophoblast? Exploring the new ways of an old lineage. Placenta. In Press. Bolnick, A.D., Bolnick, J.M., Kohan-Ghadr, H.R., Kilburn, B.A., Pasalodos, O.J., Singhal, P.K., Dai, J., Diamond, M.P., Armant, D.R. and Drewlo, S. (2017) Enhancement of trophoblast differentiation and survival by low molecular weight heparin requires heparin-binding EGF-like growth factor. Human Reproduction, In Press. Jain CV, Kadam L, van Dijk M, Kohan-Ghadr HR, Kilburn BA, Hartman C, Mazzorana V, Visser A, Hertz M, Bolnick AD, Fritz R, Armant DR, Drewlo S. (2016) Fetal genome profiling at five weeks of gestation after noninvasive isolation of trophoblast cells from the endocervical canal. Science Translational Medicine, 8:363re4. 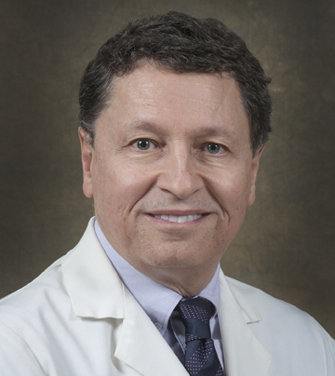 Bolnick JM, Kohan-Ghadr HR, Fritz R, Bolnick AD, Kilburn BA, Diamond MP, Armant DR, Drewlo S. (2016) Altered biomarkers in trophoblast cells obtained noninvasively prior to clinical manifestation of perinatal disease. Scientific Reports, 6:32382. Jain CV, Jessmon P, Kilburn BA, Jodar M, Sendler E, Krawetz SA, Armant DR. (2016) Regulation of HBEGF by micro-RNA for survival of developing human trophoblast cells. PLoS ONE, 11:e0163913. Bolnick AD, Bolnick JM, Kilburn BA, Stewart T, Oakes J, Rodriguez-Kovacs J, Kohan-Ghadr HR, Dai J, Diamond MP, Hirota Y, Drewlo S, Dey SK, Armant DR. (2016) Reduced MSX1 in human endometrial tissue is linked to infertility. Human Reproduction. 31:2042-2050. Fritz R, Kohan-Ghadr HR, Bolnick JM, Bolnick AD, Kilburn BA, Diamond MP, Drewlo S, Armant DR. (2015) Noninvasive Detection of trophoblast protein signatures linked to early pregnancy loss using trophoblast retrieval and isolation from the cervix (TRIC). Fertility and Sterility. 104:339-346.e4 . Fritz R, Kohan-Ghadr HR, Sacher A, Bolnick AD, Kilburn BA, Bolnick JM, Diamond MP, Drewlo S, Armant DR. (2015) Trophoblast retrieval and isolation from the cervix (TRIC) is unaffected by early gestational age or maternal obesity. Prenatal Diagnosis. 35:1218-1222. Bolnick JM, Kilburn BA, Bolnick AD, Diamond MP, Singh M, Dai J, Armant DR. (2015) Sildenafil stimulates human trophoblast invasion through nitric oxide and guanosine 3',5'-cyclic monophosphate signaling. Fertility and Sterility. 103:1587-1595. Armant DR, Fritz RB, Kilburn BA, Kim YM, Nien JK, Maihle NJ, Romero R, Leach RE. (2015) Reduced Expression of the Epidermal Growth Factor Signaling System in Preeclampsia. Placenta. 36:270-278. Bolnick JM, Kilburn B, Bajpayee S, Reddy N, Jeelani R, Crone B, Simmerman N, Singh M, Diamond MP, Armant DR. (2014) Trophoblast Retrieval and Isolation from the Cervix (TRIC) for Non-Invasive Prenatal Screening at 5-20 Weeks of Gestation. Fertility and Sterility. 102:135-142.e6. Fritz R, Jain C, Armant DR. (2014) Cell signaling in trophoblast uterine communication. International Journal of Developmental Biology. 58:261-271. Zhang S, Lin H, Kong S, Wang S, Wang H, Wang H, Armant DR. (2013) Physiological and molecular determinants of embryo implantation. Molecular Aspects of Medicine. 34:939-980. Chason RJ, Csokmay J, Segars JH, DeCherney AH, Armant DR. (2011) Environmental and epigenetic impact on preimplantation embryo metabolism and development. [Review] Trends in Endocrinology and Metabolism. 22:412-420. Jessmon P, Kilburn BA, Romero R, Leach RE, Armant DR. (2010) Function specific intracellular signaling pathways downstream of heparin binding EGF-like growth factor utilized by human trophoblasts. Biology of Reproduction, 82:921-929.